No one wants to leave the family, especially the kids. But sometimes, there are unexpected circumstances that happen which usually occur in the most unexpected time. That is why it is practical to prepare everything before anything happens to us parents. Like getting an insurance and even writing a will. Today's guest post is from my friend Sally who have contributed many other amazing articles to the blog. In this article, she will discuss how to write a will. Although people typically do not enjoy thinking about their death, it is an important fact of life that must be addressed at some point. Unfortunately, you have no way of knowing when your time will end. 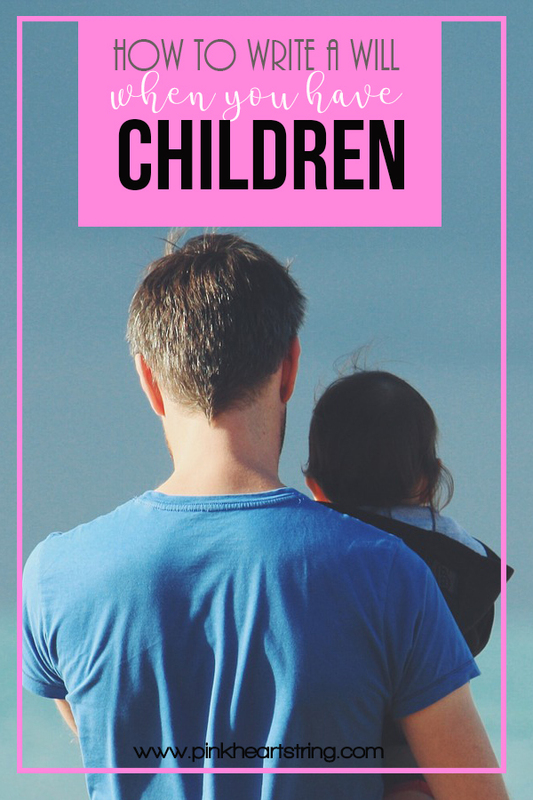 Preparing for the future and ensuring that your children are taken care of is an important step that parents should take into consideration as soon as possible. 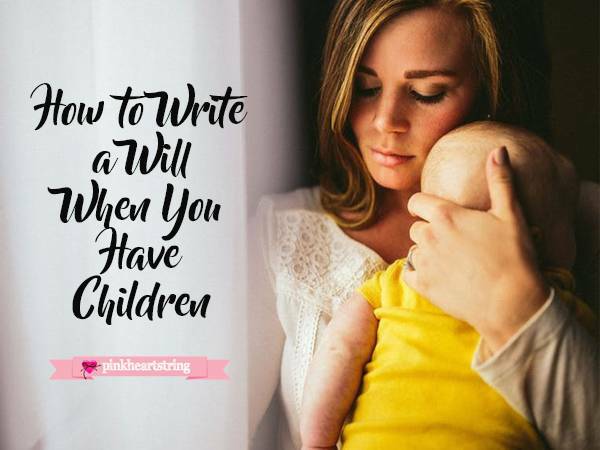 Here are some steps on how to write a will when you have children. 1. Will preparation includes making important decisions first. You want to make the best decision regarding your children. Deciding who will receive what can mean the difference between siblings bonding forever or never speaking again. Talking with your children when they are of age to understand is a good step toward attaining the goal you want to achieve. You should also speak with your spouse or other parent (if you aren't married), and let them know what your last wishes will be. 2. Know the laws for your state. Understanding the laws can help you prepare your will to the best of your ability. There are two types of categories that states fall under regarding property. Community property means that your spouse owns half of any property you accumulated while married. You cannot legally leave that part of the property to your children because you legally don't own their half. Common law property means that you own any property that has your name only on the transfer on death deed, contract or any other paperwork. This means that you can leave this property to anyone you choose in the event of your death. An experienced attorney can help you understand the laws and what category your state falls under. 3. Consider a family trust. A family trust is a good way to help avoid probate after you have gone. Money is saved on estate and inheritance taxes, and a trust allows control over assets. 4. Choose an executor to handle your affairs. An executor is someone you appoint who will handle your affairs for you in the event you become ill and aren't able to. They should know about the will and what your plans are for your children. Make sure this is someone you can trust completely as you are giving them control over some of the most important factors in your life. 5. Choose a guardian for the children. This is one of the most important steps you will take. Choosing the person who will care for and raise your children in case you pass before they are grown is a hard decision to make. You want someone who will raise them as you would and give them all of the love and support they deserve. Choose carefully and discuss your plans thoroughly with them. 6. You can learn how to write your own will. When you are ready, you should find a quiet place to make your will. You will need two witnesses to watch and state that you were of sound mind when you made out your will. You should state on the will that you are of sound mind and mentally capable. Also, list important factors identifying yourself like your name, social security number and address. State that this is your last will and that these are your last wishes made without undue influence or duress. Basically, you are stating that no one is forcing you to make these decisions. You should also include specific details about your family. For instance, state who you are married to and who your children are. You can state that you reside together at your residence and give the address. Be as specific as possible on every part of your will so that there are no arguments or disagreements when the time comes. When you are finished, you will sign the will in front of your two witnesses. 7. Document everything that you can. Anything that comes up involving your family or will should be documented and kept in a safe place together with all other documents. A bank safe deposit would be a good place to store this important information. Make sure that your executor knows where everything is and how to access the information if needed. 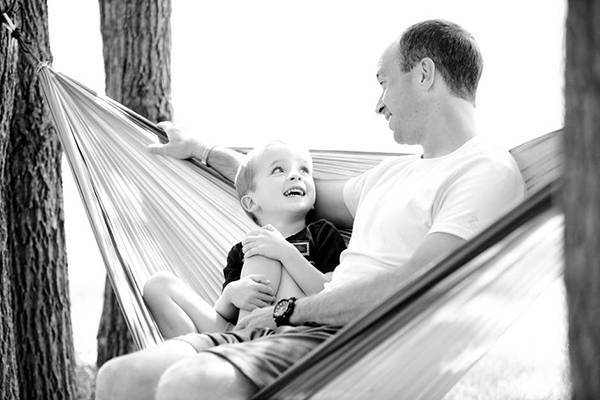 Creating a will for your children is one of the most important things you can do for them. You want to ensure that the process is done properly so that they aren't left with a mountain of problems like a family member contesting a will after your passing. Preparing a will can be stressful if you don't understand the laws and how to prepare it properly. An attorney knowledgeable in wills and estate planning can help guide you in the right direction. This is a helpful post. Others might not want to read it but it doesnt mean leaving your family instantly. It is planning ahead and taking away from your kids the burden of thinking what to do on your properties or money. I have kids.and I should be thinking about this just in case. It's not an easy thing to do, I suppose. But writing a will is either a routine thing to do or something mind-boggling, depending on the culture. In the Philippines, I think most people do not do that. I believe it is important, though. For instance, having a will prevents siblings from infighting among the spoils. I have experienced first hand what happens when there is no will, my sons father and I had been together 4 years. Our wedding was set for September, but he died in January. There was no will and we were left with the short end of the stick. Thanks for the awesome tips, will be considering all my options soon. It's not something we want to think about but it's something we need to prepare for. I think of my children's futures everyday. I hope to be able to live long enough to make sure they have all gotten an education are are working. This is helpful and will be a list that I can refer to.